Over the weekend it appeared like UK PM, Theresa May would attempt to have her Brexit deal voted on one final time in order to have the UK leave the EU under her terms, although this is now looking less likely. Reports had suggested a vote would take place either yesterday or today but May appears to have failed to gain the support needed to have a chance of winning, especially after a conversation between herself and the DUP leader Arlene Foster yesterday failed to result in any progress. This has resulted in Parliament voting to take control, with UK lawmakers now set on vote on alternatives to her deal this Wednesday although these vote won’t be legally binding. These options are likely to include staying in the customs union, holding a second referendum and revoking Article 50. I’m surprised to see the Pound trading at the current levels of 1.1660 against the Euro considering the original Brexit date is supposed to be this Friday, and yet there is no plan in place. Despite the EU still warning of the potential of a no-deal Brexit taking place, I think that markets have ruled out a no-deal which is why Sterling has managed to hold onto its gains against major currency pairs recently. Economic data is very light today as there are no releases out of the UK or Europe today. Brexit will inevitable continue to be the main driver of currency value and with the votes tomorrow taking place I think these could be the next potential market movers. If you would like to be notified in the event of a major market movement for the GBP/EUR pair, do feel free to register your interest as the next week of so could be volatile. 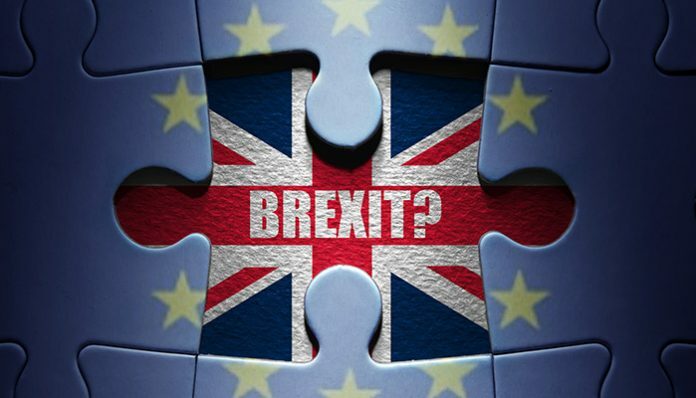 Markets generally expect to see an extension but now that there may not be further votes on the PM’s Brexit deal there could be some surprises on the horizon that impact GBP/EUR. How could an extension to Brexit affect the Pound to Euro forecast? The Pound to Euro exchange rate has made some small gains following the latest Brexit developments from Brussels last night. 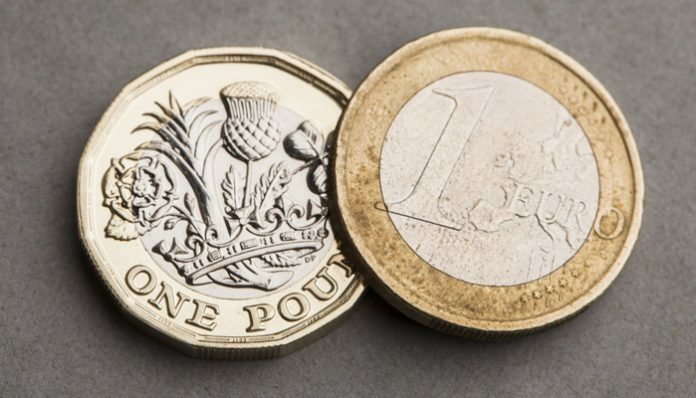 The GBP to EUR rate is moving higher towards 1.16 for the pair after the EU agreed to delay the Brexit deadline until the 22nd May on the condition that Theresa May is able to find support for her Brexit deal in the House of Commons. 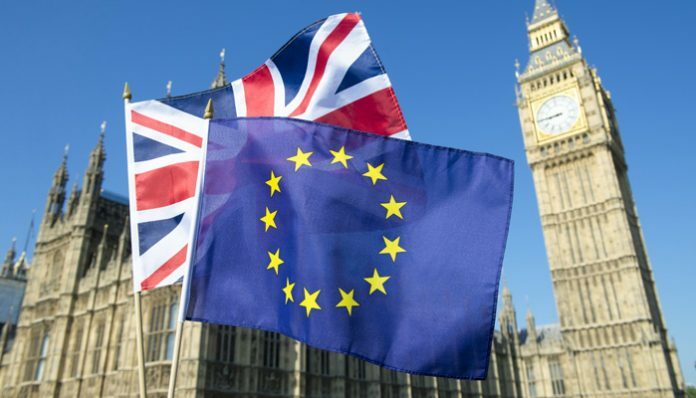 If not then the Britain will leave the EU on the 12th April although it appears there may be a way of extending that date further with the UK participating in European elections if required. For those thinking that Brexit was almost over, it is clearly not, with a number of weeks to go before a decision has to be made. A meaningful vote is expected to go ahead next week but at the moment it seems difficult to see the arithmetic in the House of Commons working for the Prime Minister. In fact French President Emmanuel Macron put the chances of Theresa May winning the vote at just 5%. Whilst a number of MPs from the European Research Group have signaled they will not vote for the deal, as have some prominent “remainers” including Dominic Grieve. If the deal is passed then there is likely to be a good opportunity for buying Euros although at this stage everything hangs in the balance. The same different scenarios remain including the prospect of a no deal Brexit which is still the legal default position if a deal cannot be reached. Rates for GBP to EUR should finish the week with high volatility as the markets try and guess the final outcome of Brexit and politicians give their differing views on the matter. There are likely to be some substantial currency movements for GBP vs EUR in the coming week and it would be sensible to plan around these key events. Expect a heavy round of interviews with the political heavy weights over the weekend which should offer clues as to where all of this is heading. The Bank of England met yesterday and held interest rates at 0.75% as widely expected. The outlook from the Bank of England for the UK now very much depends on the outcome and timing on Britain’s withdrawal from the EU. Governor Mark Carney reiterated that no deal would result in no transition period which would cause a negative shock to the British economy. However it has also been reported that gagging orders have been placed on businesses with regards no deal planning highlighting just how close the country is to a no deal Brexit. Use the form below to get in touch if you would like to discuss Pound to Euro exchange rates, or an upcoming currency transfer. I’ll be happy to get in touch personally and discuss your requirements. 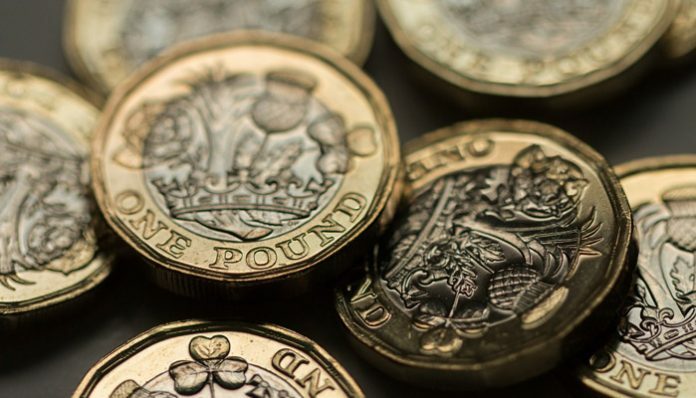 Sterling exchange rates have started the week by remaining fairly steady as we enter crunch time for Theresa May and the UK, coming into the last two weeks of Brexit talks. Yesterday, news that the Speaker of the House John Bercow was not prepared to allow yet another attempt at getting a meaningful vote through did lead to a slight drop off in the value of the Pound, but there are still various paths that Brexit could take over the next few weeks. We only have 10 days left before the deadline. We still cannot rule out Theresa May having her Brexit deal go through Parliament, even with John Bercow’s latest ruling. Prime Minister May is still locked in talks with the DUP and other members of Parliament that are currently against the deal. If she can turn enough heads then Parliament can overturn John Bercow’s ruling as long as they have a majority. This is quite a way off being possible yet but should she manage to pull this off then I would expect Sterling strength due to the certainty it brings back to the UK. The most likely outcome at present is that Prime Minister May will end up approaching the EU for an agreement to delay the Brexit date. It had been suggested this could be for as long as two years but could just as likely be for a much shorter period. It would be no surprise to see this also give the Pound a slight lift, due to the fact that it could suggest that Brexit could end up being a totally different beast. It also opens up the door for the possibility of a second EU referendum or even a general election before any further major changes. It could also lead to the possibility of Brexit not even happening at all. Either way if the delay was for a long period of time I would be surprised to not see Theresa May step aside and to let someone else take the reins. In order to delay Brexit all 27 EU countries need to come to an agreement that they are happy for this to happen. There is a chance that the request for a delay could be refused and this would be one option that could lead to Sterling weakness. A refusal for a delay will almost back the UK into accepting the deal they currently have or to face the prospect of leaving with no deal. 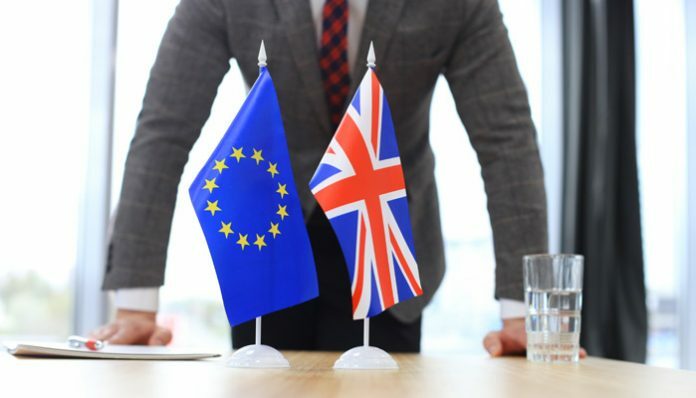 No deal has been the big worry for investors and speculators as it brings a great deal of uncertainty and could lead to Sterling losing a lot of value until there is greater certainty on future plans. There are also other twists and turns that could happen over the next 10 days and I personally would not rule anything out at this stage as we just do not know what is going on behind closed doors, so it would be foolish to make a stern prediction. It does seem that most avenues to lead to Sterling strength but if you are in the process of a large overseas purchase, or bringing a large volume of foreign currency back into the UK then you need to make sure that you have a proactive and efficient currency broker on your side. With all the politics involved you need to make sure that you are ready and in a position to move quickly should the opportunity arise. If you would like to speak with someone here at Pound Sterling Forecast who will be able to explain the various options you have available, along with making sure that your current provider or bank are offering you the most for your money in this key time, then feel free to fill in the form below and we will make sure we get in touch for a no obligation discussion with you shortly. All national newspapers this morning have criticized speaker John Bercow’s ruling that Theresa May cannot bring back the same Brexit deal for a third vote unless there are substantial changes. The Times have even stated they believe Bercow is ‘Sabotaging May’s Brexit deal’ and Downing street are once again questioning the speakers impartiality. It appears that now there won’t be a third vote before the EU summit on Thursday, therefore the Prime Minister will have to ask for a longer extension. The likelihood is that the EU will grant a long extension which could be potentially 2 years and there will be a minor concession which will allow a meaningful vote next week. Members of Parliament that voted against Theresa May in the last 2 meaningful votes will have to ask themselves the question of whether they want an extension of 2 years. This opens the door to another referendum or vote in favour of the PMs deal to make sure the UK leave the EU in the upcoming months. Pound to Dollar exchange rates have been heavily influenced by the ongoing Brexit saga over the last couple of years and I expect we could see further volatility in the upcoming weeks. Personally I don’t see the UK leaving with no deal now and a long extension is the most likely outcome. Therefore I forecast that GBP/USD exchange rates will remain range bound in the lower 1.30s for the upcoming months. However for clients that are selling US dollars to buy pounds, if a deal is reached in the upcoming weeks I expect the pound to gain significant value. Over the last 10 years GBP/USD exchange rates have been as low as 1.20 but as high as 1.70. With exchange rates now in the 1.30s rates are still extremely attractive for buying sterling, therefore considering any short term GBP/USD transfers seems wise. For more information on Brexit and how the next couple of weeks could impact your transfer feel free to get in contact with me. In other news, this morning average earnings and unemployment number are released for the UK. The numbers are set to remain steady at 3.4% and 4% respectively. Furthermore tomorrow the Federal Reserve are set to release their latest interest rate decision alongside the monetary policy statement. For more information on the data releases and how they could impact your currency exchange please feel the form in below and I will be in touch shortly. Last night saw Theresa May lose her meaningful vote once again and this has led to uncertainty for the UK and indeed Sterling exchange rates. 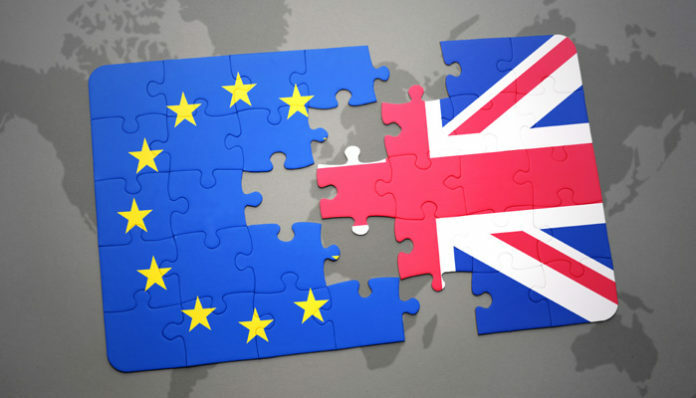 Yesterday morning we saw Sterling breach the 1.17 mark against the Euro and traders seemed to be filled with confidence that a deal for the UK could be on the horizon. As the morning progressed Sterling then started to weaken and this was due to news that the Attorney General Geoffrey Cox had suggested that the new changes were not totally legally binding. He then continued on to inform the House of Commons that they had a duty of care to the UK and to be very wary of voting down the deal, as although the new terms were not legally binding, if the EU did not act in good faith there were other options available to resolve the matter. This didn’t seem to turn many heads in the right direction as news broke late last night that Prime Minister May had lost the vote by a margin of 149, suggesting she is still a very long way away from getting her Brexit deal approved. Today now brings about a new vote on whether Parliament would like to leave the EU with ‘no deal’. It is unlikely that we will see this get voted through as this could be seen from the outside as very damaging to the economy, but you can never rule these things out! Personally, unless it does start to look like we may see the no deal vote go through, I expect a slightly less volatile trading day, but the rest of the week will most likely be extremely volatile again. Tomorrow, assuming today’s vote does not go through will lead to a vote on whether or not Parliament will seek an extension to Article 50. Last night Prime Minister May suggested that if this is the route that we are to take then the EU will only approve this if we can suggest why we would like the extension. More time to negotiate may not wash with the EU so other options, including a second referendum will have to be debated. I think these kind of subjects could lead to great volatility for Pound to Euro exchange rates. 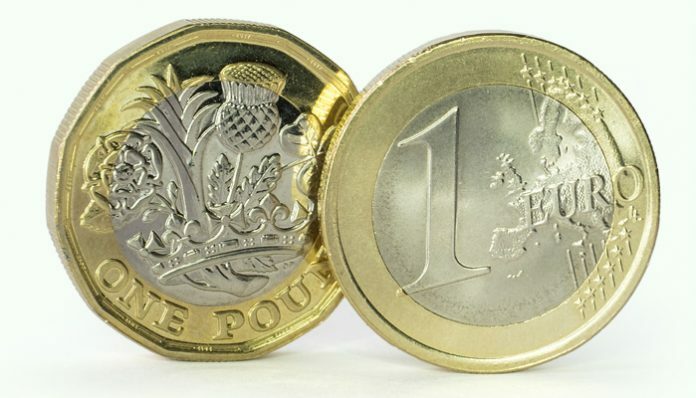 If you are in the position where you need to exchange Pounds into Euros or bring Euros back into Pounds then it is key that you have your eye on the market at all times. If you have a busy lifestyle and cannot afford to watch the market, which moves by the second, then it is key that you have a proactive broker with various options available to you. Here at Pound Sterling Forecast we can not only help with information but we can facilitate the trade for you too, we have numerous contract options available for clients such as limit orders, forward contracts and stop losses, designed to help you in these testing times. Feel free to fill in the form below and I will be happy to discuss your personal position in more detail. The Pound has gained ground against all major currencies overnight following news that Theresa May has managed to return from Strasbourg with some progress on her latest Brexit withdrawal deal. 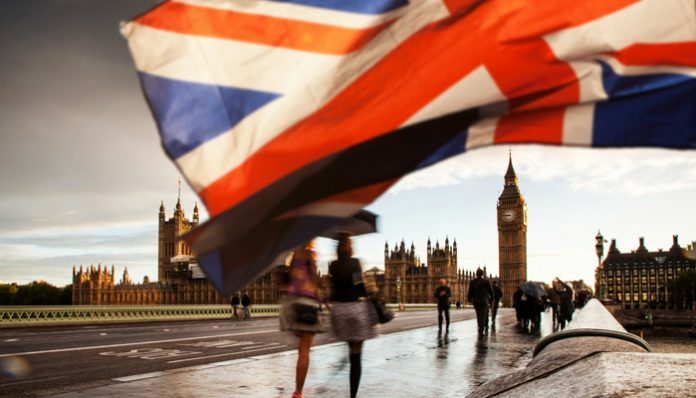 Today is crunch time for Prime Minister May as she awaits the meaningful vote on her latest Brexit deal, which should be of great importance for Sterling exchange rates. News overnight suggested that the latest developments with the deal have increased the chances of it being voted through. However this is still far from a foregone conclusion. For those holding out for a Sterling spike you must aware that there is no guarantee that the Pound will continue this climb. My personal opinion is that if a deal goes through today then we will most likely see further Sterling strength against all major currencies but should it not get voted through then we are in for a bout of uncertainty over the next 48 hours and the Pound may lose value. This would lead us onto two further votes, one for no deal and one for an extension to article 50. It is unlikely that the option of ‘no deal’ would get voted through, however if it did then we may see Sterling fall out of favour. Should we see an extension to Article 50 then it is hard to call which way the markets would take this. I feel now that even if the vote goes through today then we may still need to seek an extension as there are still a lot of issues to iron out and very little time to do so. All in all (and it is somewhat of a lottery to predict at present) my personal feeling is that the Pound will have a strong week and that even if the vote does not get through tonight, the Government are on the cusp of getting a deal over the line and they will most likely get something through in the coming days and weeks. We will be running a live blog on the vote on this site later today so be sure to keep checking back for the latest updates. If you have a currency exchange to carry out and you would like my assistance or simply to compare your rate to make sure you are getting the most for your money then please fill in the form below and I will get back to you personally. The UK Government has confirmed that the meaningful vote will go ahead tomorrow, despite fears that more than 100 MPs could again vote against the Prime Minister’s deal. There had been rumors that Theresa May would replace the meaningful vote with a conditional motion that would outline acceptable terms to deal with the Irish backstop. However, this was fiercely opposed by Remainers who expected that the Prime Minister would lose the support of the House of Commons if she didn’t honour the vote. Tomorrow’s vote will be closely followed by another on Wednesday, when MPs will vote on whether to remove the option of a no deal Brexit. Then on Thursday, the House of Commons will vote on whether to extend Article 50. An extension to Article 50 would not only mean that the UK does not leave the European Union on 29th March, but could result in the UK paying more in the divorce settlement, as the financial and legal demands of the EU increase. The pound started the day lower against the euro today, but has now recouped earlier losses and the interbank GBP/EUR rate is now back above 1.16. Few are expecting Theresa May to get her Brexit deal through Parliament tomorrow, but it’s quite feasible that the House of Commons could vote to remove a ‘no deal’ scenario and/or extend Article 50 later in the week. Both of these events could provide sterling with support, strengthening the pound against the euro. Interest in selling the pound against the euro, and other major currencies is dwindling as markets bet that a ‘no deal’ Brexit scenario will be avoided. Despite the uncertainty and possible volatility this week, I would not be at all surprised to see the pound trading higher against the euro by Friday. If you would like to discuss the factors affecting exchange rates, or have a question about buying foreign currency, feel free to use the form below to get in touch. I’ll be happy to respond personally and discuss your enquiry. We are now just one day from potentially the biggest day of the year for Sterling Euro exchange rates as the House of Commons are due to meet to vote on the latest Brexit deal on offer by Theresa May. Only last week the Attorney General Geoffrey Cox came back from Europe with little changes made to the current Irish backstop agreement and therefore it looks highly unlikely that the vote will go through tomorrow. If this happens then the next step will be to vote on whether or not to look at voting in favour of a no deal Brexit, which is also highly unlikely to happen. This will then mean that the chances of Article 50 being extended go up and it will be interesting to see how this is reflected in Sterling exchange rates. I think we could possibly see Sterling go in an upwards direction against the Euro if a no deal is completely removed from the debate as this will provide a lot of assurances for British business. However, it does not remove the uncertainty as to how long the Brexit talks will continue so we could be in for a lot of movements on GBP/EUR exchange rates during the course of this week so make sure you’re well prepared to act quickly if you have a currency transfer to make. 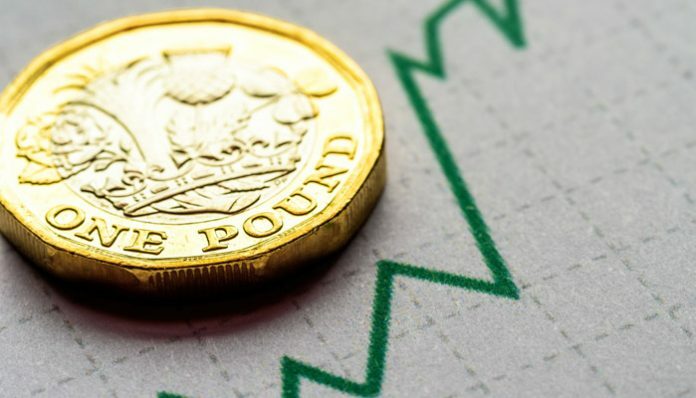 As we saw towards the end of last week there was a lot of movement on Friday afternoon with Sterling Euro rates moving up and down by over half a cent owing to the uncertainty of this week’s potential vote. Over the weekend some Tory MPs have urged the Prime Minister to potentially delay the vote, but with less than three weeks to go before the UK is due to leave the European Union, times is clearly running out so to delay this vote could cause huge problems politically for the Prime Minister. With so much uncertainty this week concerning Pound Euro exchange rates we could see a lot of movement on rates making your currency transfer more or less expensive so if you would like a free quote when buying or selling Euros then contact me directly and I look forward to hearing from you.